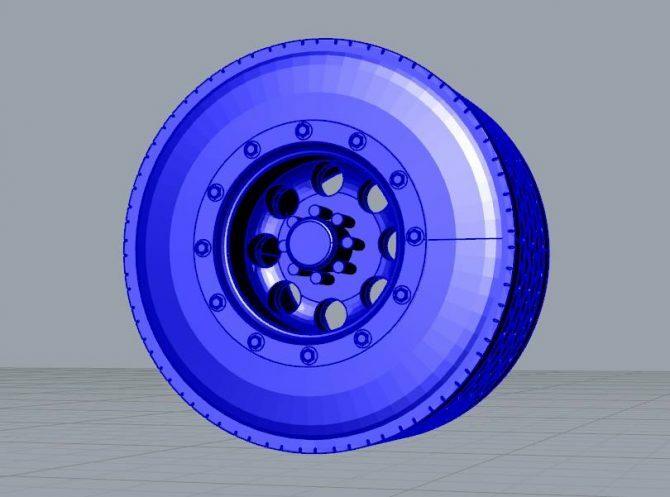 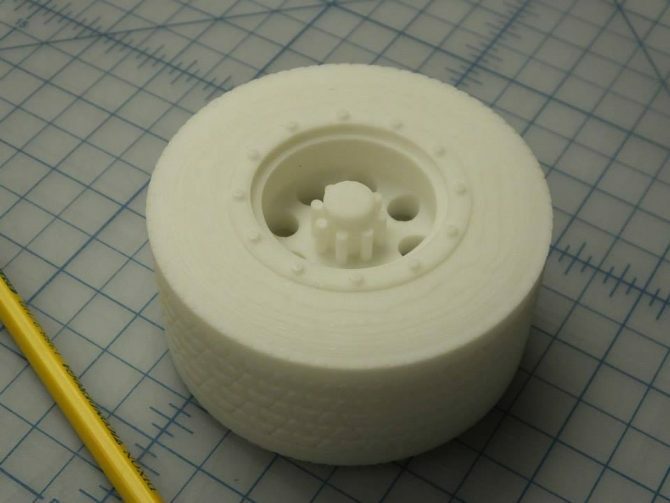 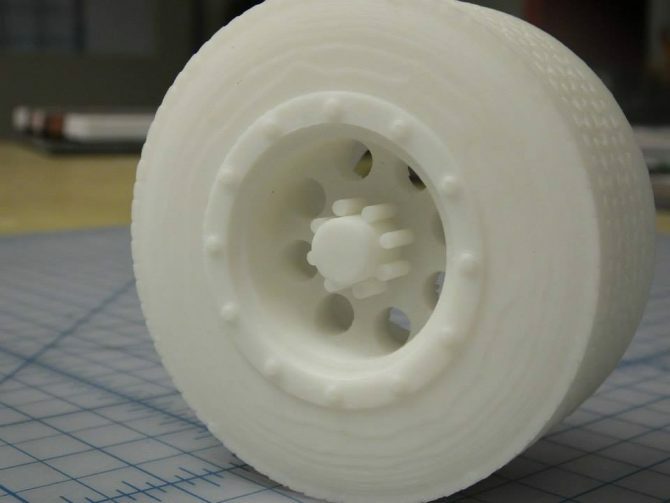 Scale model of a wheel as part of a larger concept vehicle assembly. 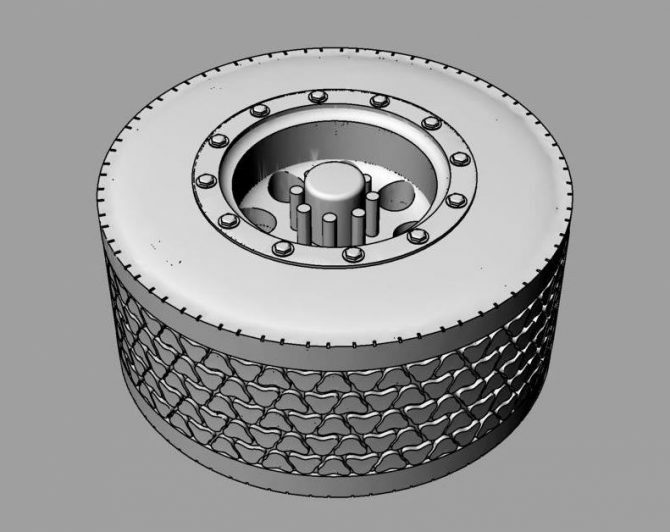 Object was modeled and printed by Mr. Trombley and used as reference to sculpt full scale faux tire from Glass Fiber Reinforced Concrete. 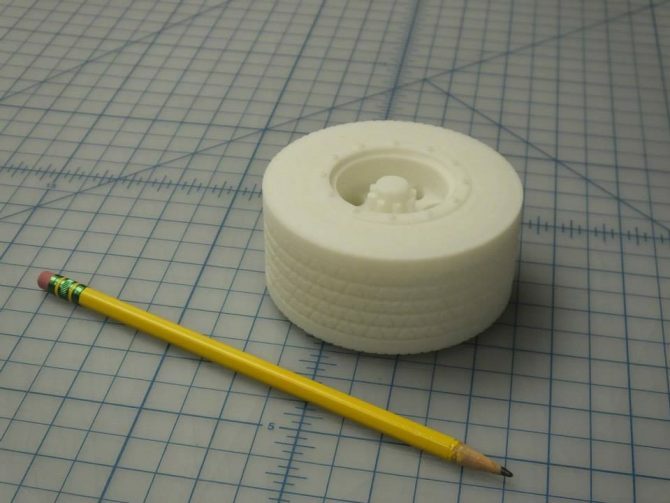 Dimensions are approximately 3.5″ diameter x 1.5″ deep.